Harvard Law professor emeritus Alan Dershowitz has had enough of Ilhan Omar. Alan, one of the country’s foremost intellects, makes a strong case that her time is up and the Democrats need to make a move. Look, the Democrats have a choice to make about the direction of their party and if they make the wrong choice they will pay at the ballot box. Also, Trump is a formidable opponent and to hand Trump such easy targets to hit during the coming campaign is just dumb, but in line with the Democrats history of blowing elections. 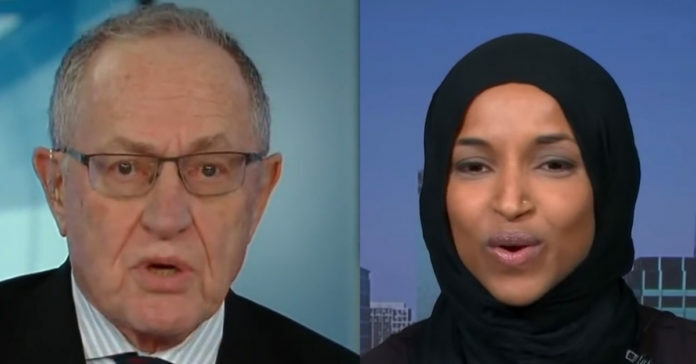 From Big League Politics: Harvard Law professor emeritus Alan Dershowitz wants controversial Congresswoman Ilhan Omar out of Congress.